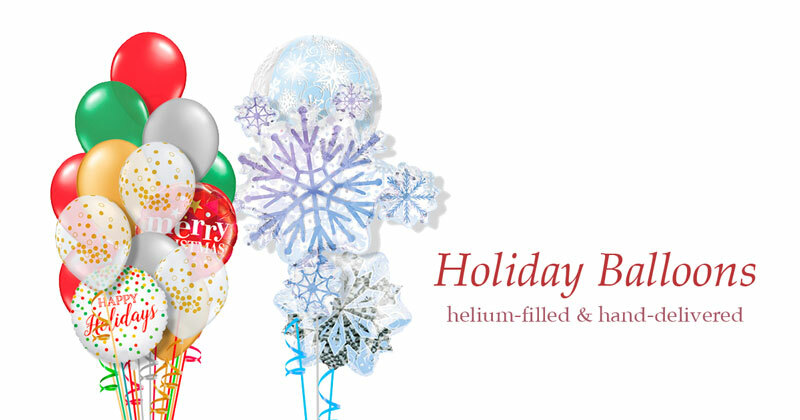 And by that we mean: let us make your holiday balloon arrangements! Whether you are throwing a holiday party, thanking employees, or sending a gift to a friend, order holiday-themed balloon arrangements to add an extra touch of tinsel to your plans. This year’s featured balloons include an Ugly Christmas Sweater balloon, an Emoji Santa Smiley balloon, a Christmas Tree full of Emojis, the Snowflake Orbz, and a Jolly Christmas Elf balloon that’s almost 3ft tall! Place your order today for a delivery before December 24th, 2017 and save $12 on holiday-themed balloons, holiday balloon bouquets, and classic 11in balloon centerpieces using the promo code REINDEER10.